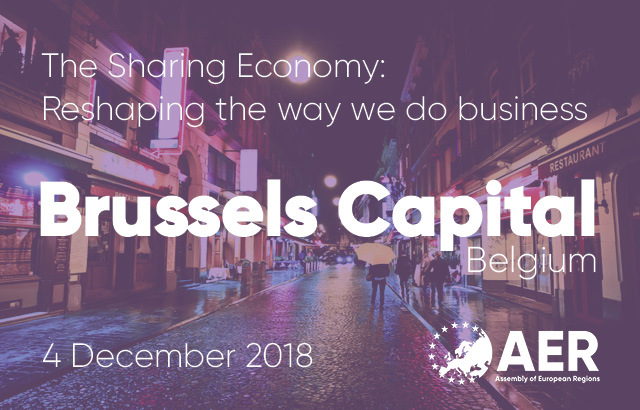 As is now a tradition and has been promised during the elaboration of the Committee 1 work programme, Brussels Capital will host this year again a mutual learning event on a current and transversal topic. This year it will be the Sharing economy, which will be in the spotlight. The event will be organised in cooperation with Catalonia. The event will raise awareness on the evolution of the business landscapes. The collaborative and platform economy request new business models but also different types of support to citizens in their roles of entrepreneurs, consumers, workers. What does this mean for policy makers? Where can policymakers play a role? Why it is necessary to have a holistic approach? Stakeholders from the private and public sector, industry specialists, entrepreneurs, and policy makers will engage in genuine exchange. The idea is to share and discuss initiatives which can be implemented right away. A major asset of these events is to discover projects and initiatives and hear of stories first hand. In a setting where each participant is a contributor, the event will highlight opportunities and points of action of the sharing economy. Examine the role of regions: are there new roles emerging? How to encourage entrepreneurship, and support innovation? How to help disrupted industries to change or to protect what needs to be safe-guarded. How to support citizens in their roles of entrepreneurs, consumers, workers? What kind of support do businesses need? Sky’s the limit, or is it? Ethics: what is good, what is desirable, how to build open, inclusive & cohesive societies? The platform economy can support very positive initiatives but it could also multiply the impact of organisations harming regional development, social cohesion or inclusion: where to draw a line? The platform economy is supported by technology, how to ensure technology is inclusive and doesn’t amplify existing biases? 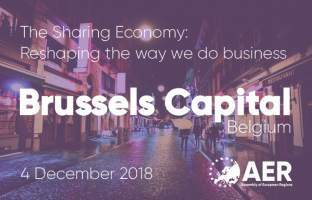 How can the sharing economy contribute to territorial cohesion? To define the role of regions it is essential to be able to identify first what is positive or negative for society. This requires dialogue with the different stakeholders of the sharing economy and citizens at large to avoid using old solutions for new challenges. Towards an uberisation of public services? The platform economy poses new challenges to governments in terms of taxation but also in terms of protection of citizens, security or health. Different governments have taken steps to at the same time provide protection to workers and impose taxes. The disruption however goes further than taxes and insurances and involves changes in the very role of governments and the way they share information and collaborate with other entities. What kind of cooperation is possible between the public sector and the stakeholders of the platform economy? Moderator: Anna Merino Castelló, Economist, Expert in competition, better regulation and digital markets. The world is changing and so is business. When the priority is on having access to and not owning, how to enable citizens to invent and implement tomorrow’s services and products? How do we ensure we are not creating obsolete workers? What are the skills and competences with high added value in this new context? Where should the focus be in terms of education? What can be the lessons learnt from cooperatives, which are a model that has been existing long before the platform economy?